The wind turned SE for a short while, accompanied by some rain which brought 6-700 waders to Revtangen. We managed a short session with 8 walk-in traps in the evening between 17 and 21, before the wind turned back to strong NW on the 5th. Ringed: Dunlin 60, Purple Sandpiper 2, Little Stint 5, Red Knot 3 and Turnstone 1. Total = 71. 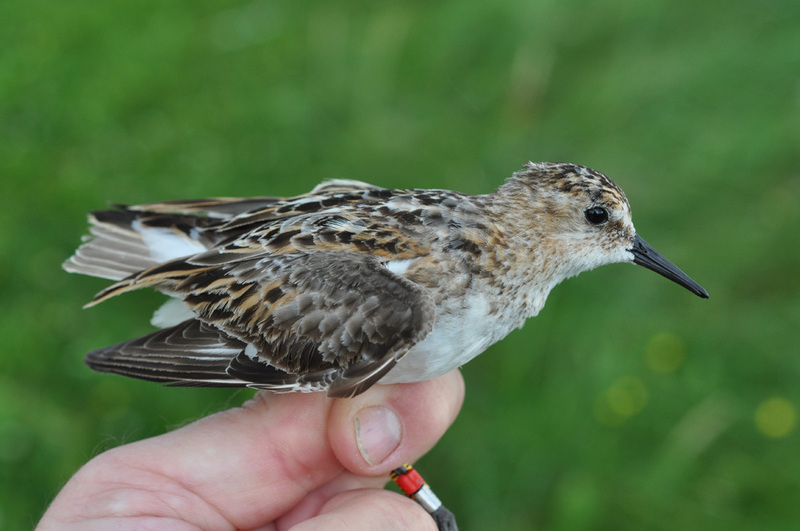 Adult Little Stints like this one are rarely trapped. 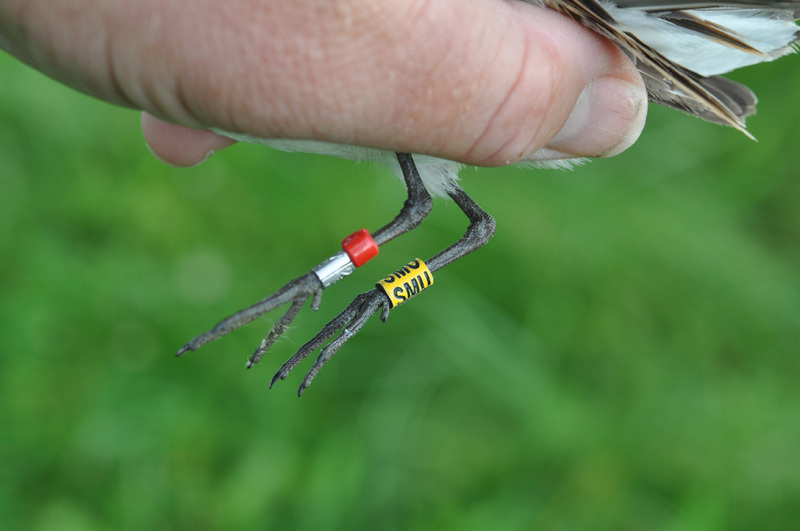 Little Stints are ringed with colourrings from the Norwegian Little Stint colourringing-project, with a red marker above the metal ring on the left tarsus, and a yellow colour-ring with a 3-letter code on the right tarsus. If you see any, please report them to Kjell Mork Soot at kjellmorksoot@fugler.com.